PURITY A StarbaseUGC Featured Episode Series Part 1/6 The Federation has been in the throes of war on multiple fronts for multiple years and Starfleet has directed its priorities from exploration and science to efforts to sustain its military machine in all sectors of the quadrant. Exploratory missions are delegated to underqualified personnel with little or no oversight by Starfleet Command. Their missions have also begun to include the acquisition of resources to aid in the war effort at any cost. 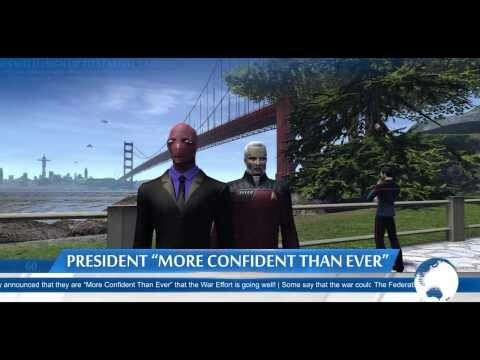 Now rumors have surfaced of a low ranking Admiral who may be taking advantage of the situation and Admiral Kardena of the Starfleet Exploratory Division has finally gotten the authorization to launch an investigation. Now what he needs is a ship, with an able crew. This mission begins at the Malon System in the Beta Ursae Sector Block.